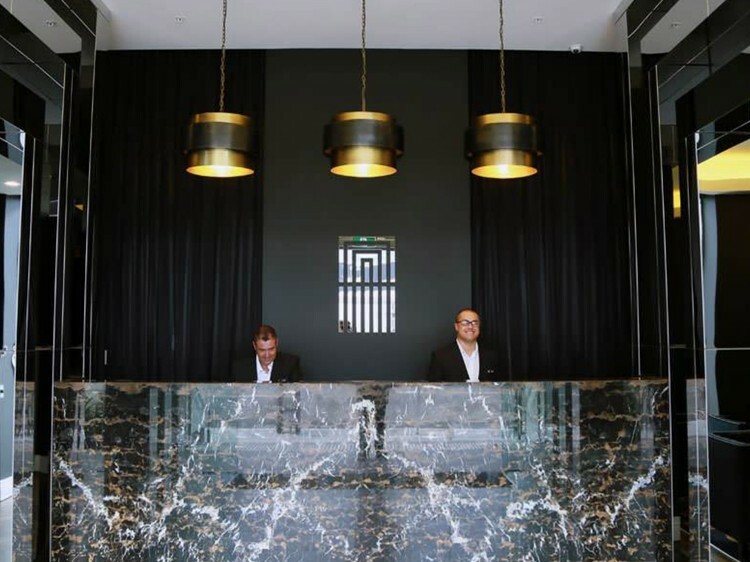 Alex Perry Hotel & Apartments is where couture design meets playful intelligent style culminating in self catering accommodation perfectly suited for the modern corporate and leisure traveller. Classic, yet edgy design, blended with modern technology and supported by friendly, professional service, ensures an A List experience for each and every guest. With a choice of accommodation options; from Studio style hotel rooms through to 1 and 2 Bedroom Units and Executive Styled Apartments there is a choice of accommodation suited to your needs. Unique design elements flow from expertly crafted furnishings, through the exclusive range of Sleep Elite beds and on into designer amenities and Fair Trade certified consumables thus ensuring a stay at the Alex Perry Hotel & Apartments is a complete sensory experience. Living spaces with floor to ceiling glazing; individually zoned climate control air conditioning, quality Neff kitchen appliances, each apartment benefits natural light, with opening windows in apartments at least two to four times the size of a traditional hotel room. Sleep Elite beds feature body conforming gel infused memory foam and pressure relieving Latex comfort. In order to cater to cyclists there are 36 purpose build bike racks on level 2 and 3 of tge secure carpark, you will need to supply your own securing lock if required. Bicycles are not permitted in public areas, lifts or apartments and bicycle cleats are to be removed prior to walking through any part of the hotel. Please note Alex Perry Hotel & Apartments is a NON SMOKING Property. This includes any and all Room, Balcony and Rooftop areas. The hotel rooftop level will be closed to guests on the evening of October 25th 2019 FROM 4:00pm. The rooftop recreation level including BBQ Pavilion, Heated Lap Pool, Sun Deck and Cardio Room will re-open to all guests at 6am the following morning. The convenience of a hotel room with the in-room services of an apartment. Features a self-catering kitchen, 48" Smart TV with Foxtel, laundry, internal bedroom space and 1.5G WiFi included daily. Room size approx 47sqm. Features a separate bedroom, a self-catering kitchen, 48" Smart TV with Foxtel, laundry and 1.5G WiFi included daily. Room size approx 50sqm. 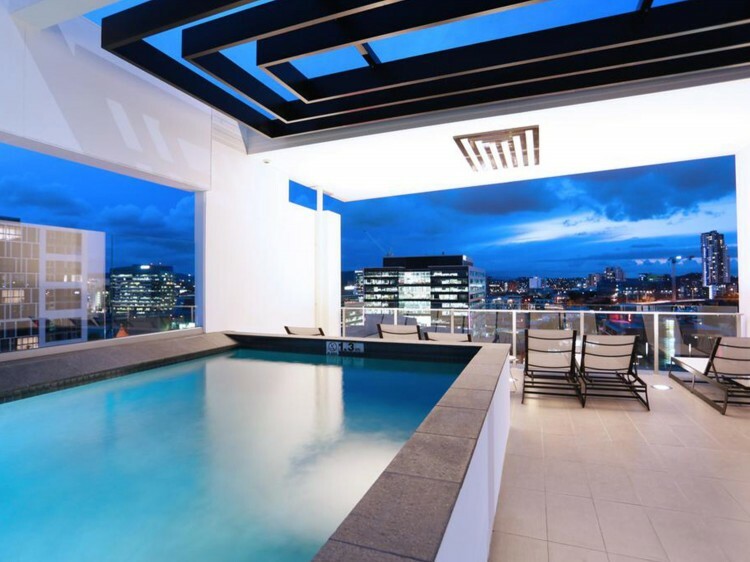 City facing apartment featuring a separate bedroom, balcony, a self-catering kitchen, 48" Smart TV with Platinum Foxtel, laundry, GHD styling tools, personal garment steamer, 1.5G High-Speed WiFi and $20 call allowance daily to standard local, national and Australian mobile numbers included daily. Room size approx 57sqm. Features two bedrooms (master with ensuite), a self-catering kitchen, 48" Smart TV with Foxtel, laundry and 1.5G WiFi included daily. Room size approx 72sqm. 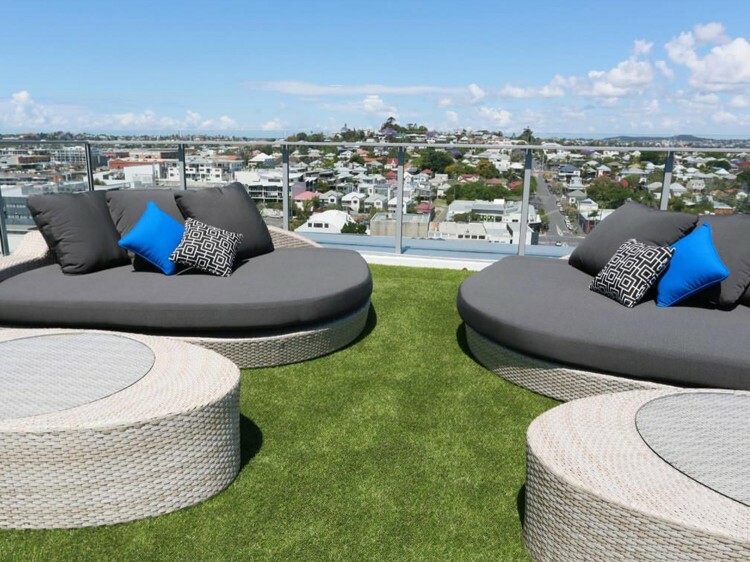 Featuring two bedrooms (master with ensuite), balcony, a self-catering kitchen, 48" Smart TV with Platinum Foxtel, laundry, GHD styling tools, personal garment steamer, 1.5G High-Speed WiFi and $20 call allowance daily to standard local, national and Australian mobile numbers included daily. Room size approx 81sqm. All guests are required to provide Government issued Photo Identification and a Credit Card Pre-Authorisation of $200AUD on arrival. The credit card provided must be the same name as both the reservation and identification provided. All credit card payments attract a surcharge 1.65% surcharge. Cash bonds are not accepted at this property. 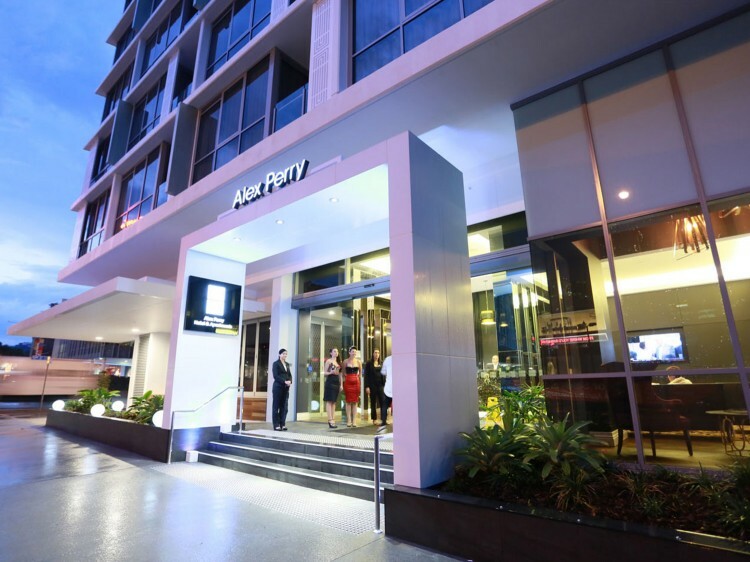 Please note: Alex Perry Hotel & Apartments is a NON SMOKING Property. This includes any and all Room, Balcony and Rooftop areas.